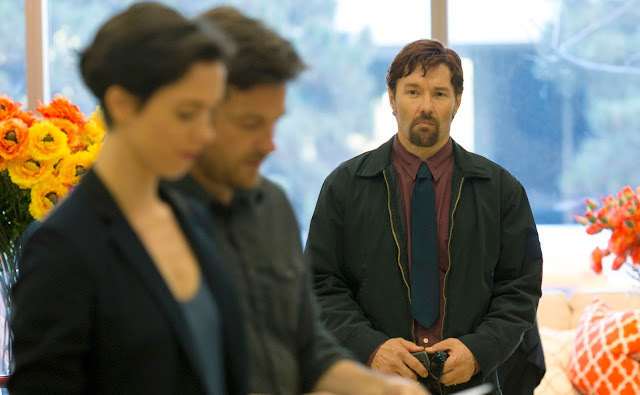 Marking the directorial debut of Joel Edgerton (also on writing duties), The Gift takes the usual stalker thriller formula and adds some impressive twists and turns, with the tale of young married couple Simon (Jason Bateman) and Robyn (Rebecca Hall) who relocate from Chicago to California, near to where Simon grew up. The couple soon meet, completely by chance, the socially awkward but kind Gordo (Egerton), a former schoolmate of Simon’s, who soon slots himself in their lives, bestowing gifts on them and dropping by their house with increasing regularity. Helpful at first, it soon becomes clear there may be something sinister behind his motives. For his first time behind the camera, Edgerton proves a deft hand at delivering an increasingly unnerving, suspenseful and psychological thriller, maintaining a potent mixture of tension and dread throughout. From the opening frame, it’s a slow build as Gordo seems fairly innocent at first, just an outsider in need of friendship, but a second act turn takes The Gift in a surprising direction amping up the tension no end. Rather than just focus on the creepy nature of Gordo’s actions, The Gift also explores themes of isolation and fractured relationships, as the events of the movie take their toll on couples marriage and Robyn’s fragile mental state. Egerton’s script is full of smart little details and quirks that pay off in some absolutely wonderful ways, especially Simon’s fear of monkey’s that just seems like a humorous aside whenever it is mentioned. The story escalates in an incredibly satisfying way, all the pieces slotting into place only when they are ready and presenting a much bigger narrative than we previously might have thought. It all leads to an expertly staged finale, complete with one kicker of a final payoff, that elevates The Gift from other examples of this type of thriller. Pulling triple duty, Edgerton is on top form as the strangely endearing oddball. You never really get a real handle on him, with the actors restrained performance presenting Gordo as either misunderstood or genuinely menacing each time he’s on screen, making for another refreshing twist to genre tropes. Hall really is given the most to do, and she just runs with it, Robyn being more than just the usual damsel in distress. Her increasing paranoia is conveyed in incredibly subtle ways, and she commands your attention whenever she’s onscreen. Bateman takes a break from his usual comedy roles, showing that he’s also a dab hand at handling something more dramatic. Simon feels like a pretty bank slate when we first meet him, but as the story progresses more layers are added to the character, and he ends up delivering a nuanced performance. An impressive debut for the first time director, The Gift is an incredibly rewarding, smartly written thriller with a dark edge that never fails to surprise.